My family looks forward to productions of the Kathy Burks Theatre of Puppetry Arts at the Dallas Children’s Theater and we recently went to see The Nutcracker. I am always amazed at how realistic the puppet movements are; the master puppeteers really know their stuff! 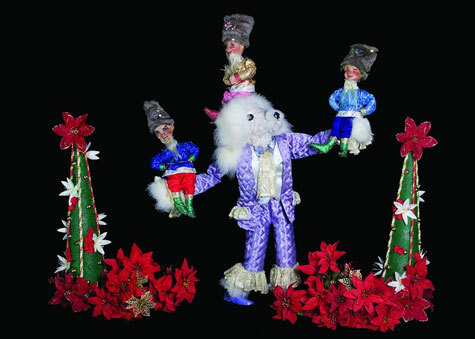 This version of The Nutcracker is adapted from George Balanchine’s production of the Tchaikovsky ballet. 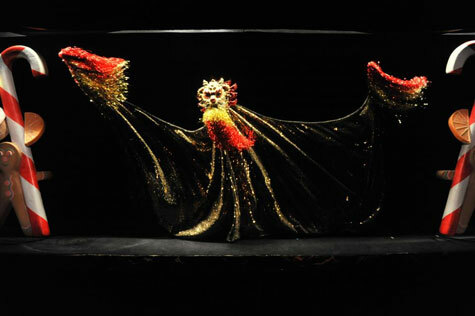 As usual, the puppet characters are a work of art, colorful and beautifully done; the costumes are wonderful too! 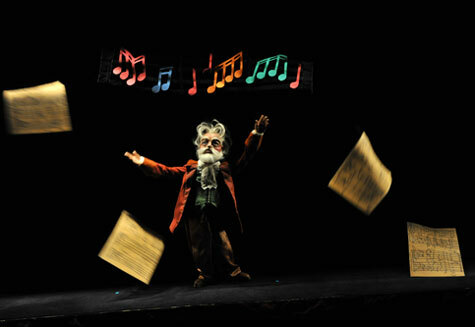 Tchaikovsky makes an appearance at the beginning of the show, as one of the puppet characters, and gives the audience an intro about how he created his famous ballet composition. During Tchaikovsky’s prologue, the audience is entertained by floating musical notes and composition pages (superbly done!). Tchaikovsky also helps the audience understand that this performance isn’t a classical ballet, but an imaginative interpretation of the familiar story line. We meet a puppet version of a master puppeteer who comes out to encourage Tchaikovsky to wrap up his prologue because it’s time to start the show. This conversation turns into a great way of explaining to the audience, especially little ones, what types of puppets are used in the show and how the master puppeteers work their magic through black theater: puppets perform in a bright light while the puppeteers wear black robes, hoods, and gloves. The effect creates a natural focus on the puppets while the puppeteers remain virtually invisible in the background. 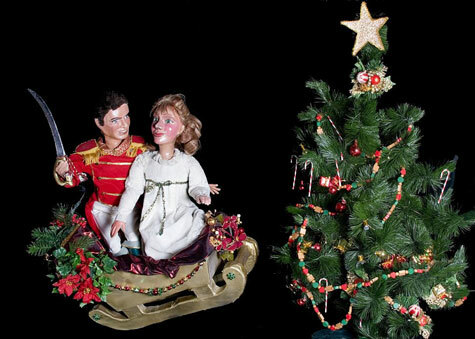 The Nutcracker follows the well-known story line: a young girl, Carla, receives a nutcracker solider as a present. On Christmas Eve, Carla wakes up in the middle of the night to check on her new toy. As she makes her way to the Christmas tree, she is suddenly surrounded by mice and tries to fight them off. Just as suddenly, Carla’s nutcracker soldier comes to life and begins to fight off the mice. At one point, a great mouse King shows up and tries to defeat the soldier. This character is one of the biggest in the show! In the course of battle, the soldier climbs on the back of the mouse King and begins to stab him several times with his sword. Although we were all rooting for the soldier to prevail over the mouse King, I found this particular scene to be a little too aggressive so some explanation may be necessary ahead of time, especially for little ones. The soldier does prevail over the mouse King, but he suddenly collapses. As Carla cries over him, the soldier comes back to life, but this time as a prince who whisks Carla away on a magical sleigh to the Kingdom of Sweets! The second act dances and performances by various characters to Tchaikovsky’s music were really nicely done. I think a reappearance by Tchaikovsky with a bit more narration would have added a little something more, but we really enjoyed the vivid and colorful arrangements! We got to see the Sugar Plum Fairy perform a ballet. 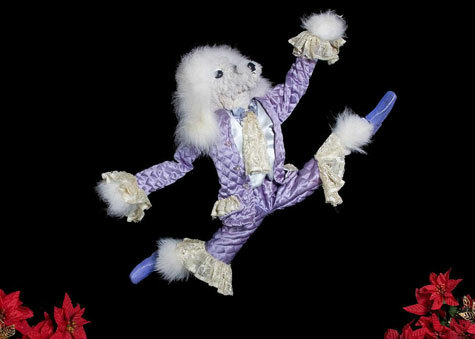 Represented by the fluffy poodle below, you can also see the Sugar Plum Fairy in the first photo at the top which also depicts the fabulous dancing Russian Cossacks and the entertaining dancing trees! Another act that really caught my eye was this life-size version of a bearded Chinese dragon who swayed to and fro in a mesmerizing pattern–really cool! After the show, we enjoyed a meet and greet with the master puppeteers. The twins loved getting up close and personal with all of the puppets and their creators! 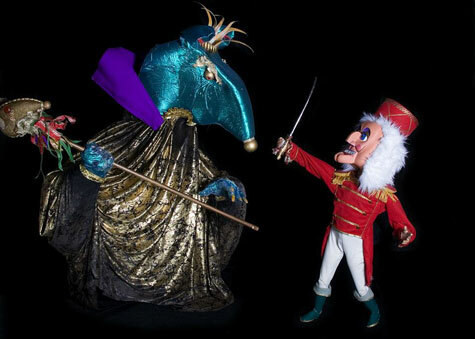 The music of Tchaikovsky is memorable and moving and the Kathy Burks Theatre of Puppetry arts provides a unique and imaginative interpretation of a well-loved classic. 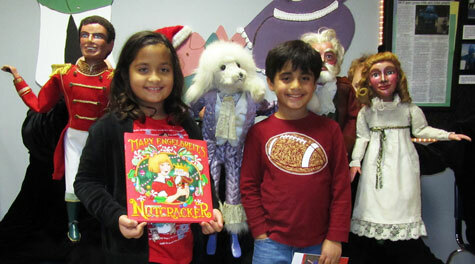 The Nutcracker is playing at the Dallas Children’s Theater through December 22nd. Tickets are available online or by calling 214-740-0051. Disclosure: Dallas Children’s Theater invited my family to this performance of The Nutcracker. The above represents my personal opinion.